Through the 2016 election cycle and since inauguration there has been as serious uptick in youth bullying, violence, vandalism, and hate crime in schools and online. With leaders in the highest levels of government making racial slurs and policy decisions that exclude, blame, and intimidate distinct groups, it is not difficult to understand how intolerance has become somewhat unleashed with impressionable, developing children. Some faith communities have banded together to combine energy, resource, and collective influence to take a unified approach to community education, awareness, and prevention for the good of all children. Cultural literacy training helps – and not just in schools, but with healthcare providers, corporations, and law enforcement. Cultural community differences need to be better understood to effectively communicate and work together. School climate and promoting empathy and inclusion in other youth settings can be improved with cultural and religious education and supporting inclusive organizational shifts. 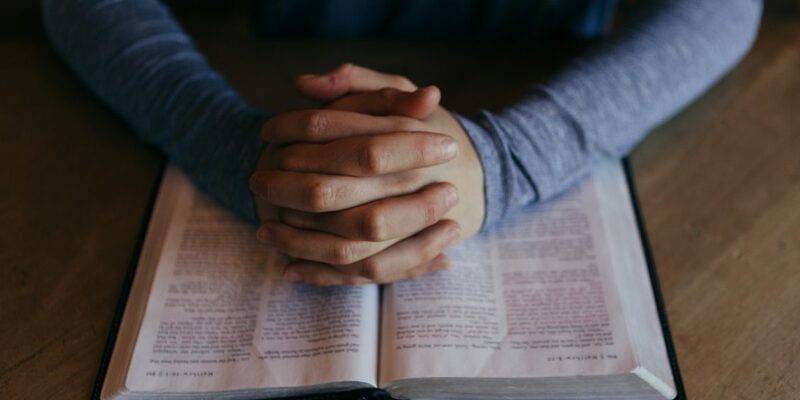 This should include encouraging educators and administrators to examine their own preconceived notions about faith groups. Participants in the summit continue to dialog, collaborate, and support each other through a listserv and other activities. Summit organizers are also in the process of developing a white paper and compiling best practices and a directory of resources. There were some additional important points that emerged during the research and discussion for this story. Bullying is an adverse childhood experience, or ACE, that can affect health and wellness across the lifespan. It is also recognized as a risk factor for youth suicide. For that reason, prevention and promoting positive school climate is central to mental health, social connectedness, and academic performance. And, with the federal government rolling back enforcement of civil rights protections, meaningful solutions will have to come from states, communities, and organizations willing to maintain efforts for inclusion, collaboration, and tolerance. The Sikh-American community of 750,000 in the United States is not often thought of as at risk for bullying and discrimination, and they are generally not included in related research or culturally specific programming. 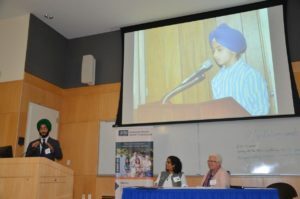 Over half of all Sikh-American children, however, report being bullied in school – and even more so if the child is wearing a turban. The turban is part of a religious uniform intended to cover hair, promote equality, and affirm the Sikh identity – so when kids bully based on appearance, they are effectively attacking that child’s belief and practice. Jewish children experience religious-based bullying as well. Anti-Semitic hate incidents, graffiti, and disturbing gestures have risen dramatically, according to Rabbi Batya Glazer, Director of DC and Maryland Interfaith Relations with the Jewish Community Relations Council (JCRC) of Greater Washington. When a student reaches out for support or for help advocating within the school system, the JCRC can arrange for Holocaust survivors to speak with students and share their experiences – hoping to build moral engagement and empathy to prevent exclusion and other incidents. JCRC is also planning a program called “Student to Student” where Jewish youth will be coached to build understanding and acceptance with non-Jewish students about what it means to be Jewish. LCRC also participates in a number of faith community efforts that focus on prevention and education within schools and throughout the broader community. To learn more about religious-based bullying and effective prevention measures, additional resources are listed below. Helga Luest currently works for a government contractor and manages a number of federal projects related to health, trauma, violence prevention, and the environment. She is currently running for Maryland State Delegate in District 18. In 2016 she was appointed to the Maryland Governor’s Family Violence Council and she serves on the U.S. Congressional Victims’ Rights Caucus Advisory Group. Helga also serves on the board of the Campaign for Trauma-Informed Policy and Practice, a national nonprofit advancing the transformation of trauma informed practices throughout the United States. In 2010 she was awarded the Congressional Unsung Hero Award for her effective advocacy work on violence prevention and response. In her free time, Helga facilitates two social media groups on Facebook & LinkedIn called “Trauma Informed,” where advocates, survivors, researchers, and other contribute content and commentary on issues related to trauma, prevention, and resilience.